Can you confirm these amateur observations of Morethia ruficauda? 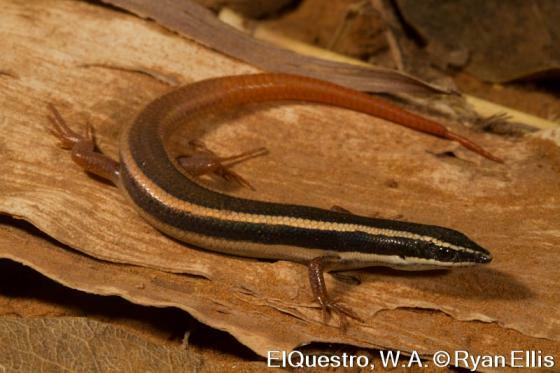 ruficauda: C/N/NW Australia; Type locality: Goyder River or Bagot's Lagoon, Central Australia, N. T. (by lectotype designation). Types Lectotype: NMV D11757, designated by Coventry (1970). Comment Synonymy after GREER 1980. Etymology Named after Latin “rufus” = red and “cauda” = tail. Coventry, A. J. 1970. Reptile and amphibian type specimens housed in the National Museum of Victoria. Mem. Natl. Mus. Vic. 31: 115-124.